The Epson Home Cinema 3020 and 3020e are two new home video projectors -- or, more accurately, two versions of the same home video projector. If you're not familiar with home video projectors, they are typically brighter and lower in contrast than home theater projectors, but still provide accurate color balance and other features that mark them as intended for video, not presentations or graphics. In short, they are projectors for the living room. These models follow on from last year's Home Cinema 3010 and 3010e. Among the improvements are a slightly higher light output, better default color, and a better WirelessHD transmitter for the "e" model. The difference between the Home Cinema 3020 and the Home Cinema 3020e is that the "e" model includes a WirelessHD system, allowing you to send full 3D HD signals across your home without the use of wires. Among other things, this makes mounting the projector much easier since you no longer have to consider wiring when doing so. Other than this key difference, the 3020 and 3020e are identical. What makes the 3020 series so attractive is its combination of high light output, accurate color, flexible mounting, and low price. The wirelessHD system will certainly appeal to some consumers for a number of reasons we'll discuss shortly. The bottom line on these models is that the 3020 series improves upon its predecessors, and at $1599 for the 3020 and $1899 for the 3020e, they represent strong values in the home video market. Note: our review was conducted using a Home Cinema 3020e, but aside from the WirelessHD transmitter and the corresponding price difference, the two models are identical. The official, full name of the projector is the Epson Powerlite Home Cinema 3020e, but don't let the name fool you. This is a home video projector, no matter what Epson calls it. It is built for use in ambient light, has lower contrast than home cinema projectors, but still has excellent color performance and is meant for use with video, not presentations or graphics. And it's a good home video projector, too. It's bright, it's light, it has speakers with some punch to them, and it does solid 3D. There's not a lot more to ask for. We set up the 3020e on a low shelf in a darkened room. The ideal placement for the 3020e is a ceiling mount, especially if you take advantage of the projector's wireless capabilities, but a low shelf or table will also work well. 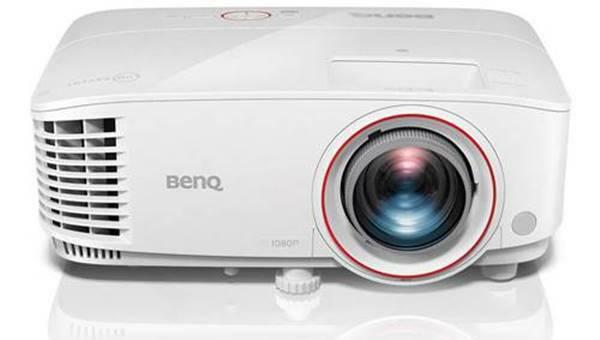 The projector has a very mild upward throw angle, only about 3% of the image's height, which is much less aggressive than many other home theater and home video projectors. As such, a mount that worked well for your previous projector might not be ideal for the 3020e. Firing up the projector, it becomes clear that the 3020e has brightness to spare. Our test unit actually exceeded the 2300-lumen specification slightly in its brightest mode, Dynamic. But our preferred mode was Cinema, which at 1360 lumens is still plenty bright enough to display a 100" diagonal image in a room with significant ambient light. What is striking about the 3020e's image is its pop, punch, and color. Sure, a projector rated at 40,000:1 contrast with over 2,000 lumens behind it is never going to command home-theater-levels of contrast, nor is black level ever going to be as deep as Epson's more up-market offering, the Home Cinema 5020. But having a big, bright, vibrant picture can make you forget all of those things. The image produced by the 3020e has plenty of depth, and color is almost perfect right out of the box, so it is a great projector if you just want something to set up and use without a lot of fuss. Thanks for the review. I'm a little surprised that Epson released this projector without a gaming setting that cuts the lag from the 3010 by 2/3 instead of the 1/3 they achieved. Based on the 3010 experience, lag performance is unlikely to be improved by firmware updates. Does anyone know if it's possible to configure the internal speakers to provide the surround channels instead of the stereo mains? I imagine this would be the most useful application for these type of speakers considering where the projectors will be placed--and the quality of sound they can provide. Thank you for the review. I'm waiting for the 5020 myself, but until that review is up, it's nice to see the 3020 improvements over the 3010. One item you mentioned interested me... the "pass-through" ability of the WirelessHD transmitter. Does it only pass through the audio, or does it possibly pass through the video as well? I'm planning to keep my exiting TV in the room and use both it and my new projector going forward. I anticipated having to buy a new receiver with 2 HDMI out. If the WirelessHD transmitter allows me to send video to the projector wirelessly, while also letting video pass through to the receiver for TV viewing, then I am all set. So is this a home video projector or a home theater projector? From the first paragraph of the review I would conclude, strongly, the former, but the review is grouped with the "home theater projector reviews" on your home page. It looks like it's been placed in the wrong bucket on the home page, so just FYI. I am a bit disappointed with the most recent crop of projectors. It sound like the 3020 offers some nice changes compared to the 3010 but the price/performance tradeoff is only incrementally better. Perhaps I am just spoiled. The last decade has seen unbelievable increase in PQ alongside a huge decline in prices. Perhaps this trend simply cannot be sustained forever. Objectively these new projectors are amazing but the pace of improvement seems to have noticeably slowed. Great review. Great sounding projector (*loved* my old Epson 1080UB). That too had a loud (& slow) iris mechanism - surely Epson should focus on getting a silent alternative. Especially like the addition of the input lag for gamers - please keep this a regular part of your reviews! 1 small thing - notice in the manual that of the 5 wireless HDMI ports, 4 are labelled input and 1 output, so I wonder if this really does accept 5 inputs or 'just' 4 and also does pass through for those who want it? Noll - There are definitely five inputs. You might be looking at an older version of the manual, but on page 61 of the Epson 3020 manual it says there are five inputs and one passthrough. gadolphus - That's the nature of technology, my friend. Ten years ago, every new digital camera that came to market was miles better than the last one. These days, it's a much more incremental improvement. As a technology matures, the number of major fixes you can make to it decrease, and so you get smaller, more subtle product updates. RAMoynihan - Thanks for the note. It's definitely a home video projector. We'll see about fixing that. Tbone85 - If you do want an Epson projector that's fantastic for gaming, look at the Home Cinema 8350. It has the lowest lag numbers we've seen on any projector recently. As for your audio question, I didn't see an option like that, so I'm gonna say probably not. The specs says it has H&V lens shift, but in your review you say it does not? No lens shift will be a dealbreaker for me. Tal - no, the 3020 does not have lens shift. The spec sheet is being updated right now. Thanks for pointing that out. Do you know of any alternate RF3d glasses that will work with the 3020 besides the ones that Epson sells? hi bill---how does the contrast look when combined with a gray screen? with everything being dimmed, doesn't the high light output then produce a much better contrast ratio? rather than comparing the 3020 to the 5020 on the same surface for contrast and dark blacks, can you compare the 3020 on a dark surface to the 5020 on a white surface? another question: what is the advantage of a high-gain gray screen? gray dims light, high-gain focuses light to brighten it (for those sitting in the center, of course). is it just the reduction of light reflection from off-center? There is one more notable feature in 3020 and i.e. 2D to 3D conversion. Why doesn't the projection calculator show the vertical distance frome the center of the lens to the edge of the image anymore. With no lens shift on this projector, this is a critical specification that some of us with low ceilings have to consider. I'm buying my first projector for my home theater and seriously considering this one. Will I have any problems getting this projector to close mount to my 8ft ceiling since it doesn't have lens shift and it still look sharp? I'm afraid of having it hang down 12-18inchs to get the projector lined up properly with the screen. Is there a way to calculate the proper amount of vertical hang in inches for a 92inch screen and considering an 8ft. ceiling? Perhaps this isn't the best choice after all if I can't get the projector close mounted? Thanks! If within 20 feet of the projector, does the WirelessHD transmitter work across walls even if placed in a separate room with the a/v receiver? Or, does the transmitter need to be visually in the line of sight of the projector's front or back? Which are the 3D glasses I can use with it? Also, if you can please recommend some for regular use (for my kids) and some as party packs (for guests, etc.). The rival in this price range is the optoma HD33 which has lower advertised contrast ration. So why is that also not called a home video project in the review. Is there something that makes it a home cinema projector? C F, the samsung RF glasses, SSG-4100GB, $20, work with the 3020. Benoy and Mark - I used the 3N1-PJT from Omnimount to ceiling mount the 3020 to my 7'9" ceiling (available from BB and HHgregg. Also ceiling mounted a screen. Both are about 7-9 inches from the ceiling (a quess only) and have not needed to use keystoning. Thanks a lot for the help. I appreciate it. I've had the 3020 for about a week now and I'm very happy with my purchase. I went from a Sanyo PLV-Z700 (which served me very well) as I needed something brighter (and was interested in better 3D than my Optoma GT750e). Image quality is very nice, extra brightness is great, skin tones and colour reproduction seems very consistent and accurate and the 3D quality is exceptional. My only real issue is I wish it had a lens shift like my Sanyo had. Getting the projector in the right position was a little but worth it in the end. BTW I don't bother using the auto iris, the contrast levels are very good without it. I am a professional 3D content producer so my bias may show. Just purchased the 3020 and found that the 3D on the 3020 to be substandard. A. Lag on scene cuts between the left and right eye. B. There was an annoying sweet spot in the center of my glasses. As I twisted my head left and right the density and color of the picture would change. C. During rapid movements or pans portions of the picture would look out of sync. Granted I am used to looking at a Christies $200,000 project at work. D. This does not happen on my LG 55" LCD. E. In 2D this project at $1500 is the best I have experienced. It is set up on a 12' screen. With only keystone correction, can I use that to adjust for having the projector only about 1' down from the ceiling? I have a situation where I can not bring it down to the center of the screen height. Does anybody know whether the wireless function requires direct line of sight? Unfortunately this would be impossible with my set-up. It would be only a short distance away, but the signal would have to travel through a wall or two, and it would be hitting the back of the projector instead of the front. Thank you! I have used 3020e for more than a week now, with my Da-lite 106" screen. Honestly, I'm disappointed with this projector. Now I kinda regret I should have got 5020ube instead. The contrast and color reproduction is really poor. I have tried many different sources, blu-ray, Netflix and HTPC, but all the images looked washed out. Imagine a color photo from the 80's, that's how it looks. I've also tried many different video settings, they all don't make much difference. I tried using the optical audio out as suggested by your review. It didn't work. I checked with Epson and here's their response: "The Wireless HD device only outputs a stereo signal from the audio out port. If you have a high definition device that is outputting a 7.1 or 5.1 digital surround sound signal, then you will only get 2 channels of audio, resulting in low audio or no audio output at all." When I responded that it seemed like a poor design, they disclaimed all responsibility saying the transmitter was not manufactured by them and pointed me to the Wireless HD consortium website. Wow! Can you believe that Epson doesn't care about something that it sells as its own?! It seems to me this is only useful then (and I haven't tested it to see if it works) if you are converting a stereo signal to HDMI (e.g., an RCA to HDMI). Second, I don't even get two channels of audio. I get nothing, so I'm wondering whether it will even work in the signal conversion scenario. So basically, the audio out is useless and I wonder why they even bothered. Would it have been that much harder to make it full digital since it is a digital optical out (and wouldn't this also in any event play the converted stereo signal as well)? In general, the wireless transmitter is also not designed very well nor very robust. If you can make the cables work, do it. Every time your input device loses a video signal (like when the DVD player changes status, or when you switch to a 3D channel on the TV), the transmitter loses signal and has to reset which can take anywhere from 10-30 seconds. Then, if you are watching one input and turn it off before switching inputs, you lose the signal completely (even if your other inputs are sending a signal) and it often simply doesn't reset, so you have to manually reset it. So you have to remember to always switch first before turning off the other input. Finally, the projector shows ALL inputs even if you have nothing plugged into them. Since I currently only have two inputs plugged in, my projector shows 3 blue boxes at the bottom of the screen and I have to scroll through all of them to get to the other input. Next, I used a converter to convert the Wii RCA cables to HDMI. On my HD TV, this works beautifully, very nice picture, great sound. When you plug it into the Epson wireless, you can see the Wii on the input sub-boxes, but when you try to switch to it, the transmitter loses the signal and it requires a reset (manually going to the transmitter and holding the reset button for 10 seconds)to get it to work again. I will be providing a full review of this projector and the numerous other problems I've had with it on Amazon and Epinions. I'm on my second 3020e projector and this will be it with Epson. I wanted to like this projector which has a really great 3D experience when it works, but there are just too many problems with it. I would also like to know if the 3020 and the EH- TW6100 are the same projectors. It looks like they are when comparing specs. 1' down from ceiling is normal. The top of the image starts about where the projector is and goes down. Vice versa when mounted on a table or shelf. Bill, When you've tested the Epson PowerLite projectors, have you found that there are issues with white "smearing" or "flare" that causes, for example, white text on black to look smudged or blurry? The white smear travels across several pixel widths or height to make a rather sloppy looking image. There are several people, including me, who have had this issue multiple times in several replacement units. I sent Epson a pic of the problem (screen shot) and they confirm AGAIN, that I have another defective unit. I would appreciate some input...I am new to projectors, and this says it is better for rooms with ambient light. I have a room that is roughly 17'wide and 21 feet deep, with projector mount near the back of the room. The room is completely blacked out ideally. Is the projector going to be too bright? Screen size is roughly 120-125" diagnoal if that helps. Thanks. Is a 3D receiver necessary for this (or any) 3D projector? This is the only thing I'm stuck on and want to be 100% sure I won't lose image quality/audio if it's not a 3D receiver. Thanks!! To the left of the project image, my Epson 3020 projects a one-foot wide gray band of light that matches exactly the top and bottom of the rest of the rest of the image. The outermost edge of the light is perfectly straight. Am I setting this up wrong? Is there some setting to change? I'm using input from a Macbook at 1920 x 1080. For the price the EPSON 3020 is a OK projector, not perfect, bud solid. I also have a Panasonic AE3000au and although it is a few years older, the picture quality is much better then the 3020. In hindsight, I wish I would have saved longer and got a PT-AE8000U (but it is 1,0000 more. I was almost ready to buy this, but when I read your comments on Contrast I got the feeling that this may not be the best option for a basement. Am I correct? If so, do you suggest another model or make in the same price range? We bought the 3020e this past December and have it mounted on the ceiling of our basement. The colour, etc works great in the basement. We love it. Can the Epson 3020e be projected on a curved screen. I understand that a curved screen gives you a more immersive 3D experience. most macbooks have screwy resolution-sizes, so that may be that. Try and output the signal as a second separate screen, rather than a clone and set that to 1080 resolution and you should be set. there's a calculator somewhere on this site, but I have the Epson 3020 (EU version) and I have it set up in a 21 foot deep room and I get a 120-125" wide pic taking up most of my wall (which is not as wide as yours). With settings Cinema and Eco even a basement would be alright, albeit a bit light. If you use the 3D it should be perfect, though, due to the extra dimming from the glasses. Nope, it works as a standalone. You can hook up your PC with a SBS .avi file and it will show semi-res 3D, or you can use your PS3 and Blue-ray 3D movie disk to show fullHD 3D. You'd mount the projector upside down, and with a 3% throw angle it would mean that the top edge of the image will be 1' something from the ceiling, which I'm guessing is what you are looking for? Antonio, anytime a projector does not show the entire picture you must suspect that it is not getting the signal. Either the source is not outputting the entire signal, or there is a failure in the cable, or there is damage to the input port. To troubleshoot it, you need to switch system components and connections until you isolate where the problem is. So if you have a different video display handy (another projector or flat screen) you can connect the same cable to that unit and see if the picture still lacks color. If it does, the problem is in the source device or the cable, not the projector. If you don't have another video display of any type, the first step would be to try a different cable. Quite often these problems are related to a failure in the cable itself. If you hook up a separate source device with a different cable and the picture on the projector still lacks color, the problem is in the projector. At that point you call Epson customer service for assistance. I just picked up this projector, and it's been amazing. Even viewing during the day in my living room with tons of light penetration this thing is still view able and passable for playing games. Yes the Iris can be loud, but that can be turned off. Yes the blacks are not that super inky black that you'd get from a much more expensive projector, but all in all this is an awesome projector for the price. Also there's no way you could get something to look this good at a screen size 100"+ for less than the price. Using a 0.8 gain screen from carls place, projecting to almost 140" from about 16' away. My only issue is lack of audio output from the 3020. It has HDMI Link, and it shows that I can output audio to my AV system. When I set it to use the AV system though I have no audio. Does this actually support HDMI-ARC, or do I need to break out some RCA's and run them to my HTIB? It'd be a shame to have such a great screen but everything be forced into 2CH on my sound system. Does anyone know if this supports ARC over HDMI, or when you set the audio output to AV system it's only going over RCA? can you project on a curved screen with Epson 3020?